If you’ve never had (or heard of) biltong it is a dried meat of South-African origin. It is actually quite similar to beef jerky. It is ‘paleo’-friendly, gluten-free, fructose-free and dairy-free. It won’t be appropriate for those who follow a vegan or vegetrian diet, though you could make it out of eggplant or another root vegetable instead of the kangaroo meat for a similar taste. 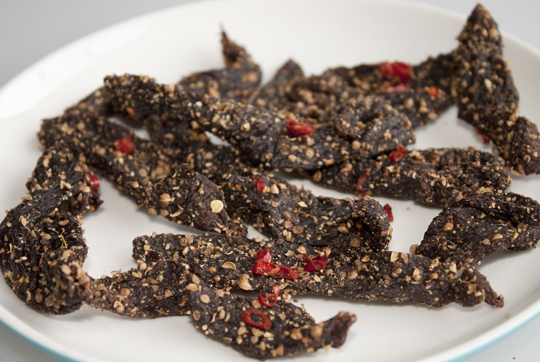 Biltong makes a great protein-rich snack and can be added to soups, stews and salads. I added a few pieces that I cut up to a soup which made it quite tasty. 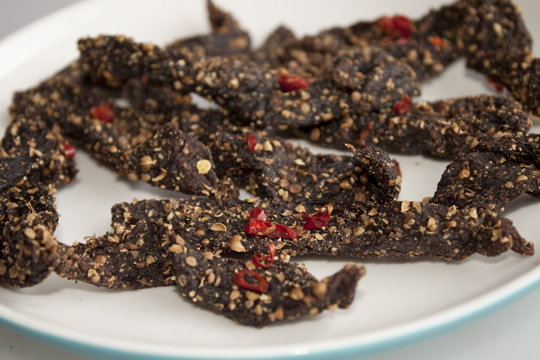 Biltong can be made with a range of meats, so feel free to try other meats in this recipe too. This recipe does have a very similar taste to the beef biltong I grew up eating which I’m quite happy about, so I hope you enjoy this recipe. 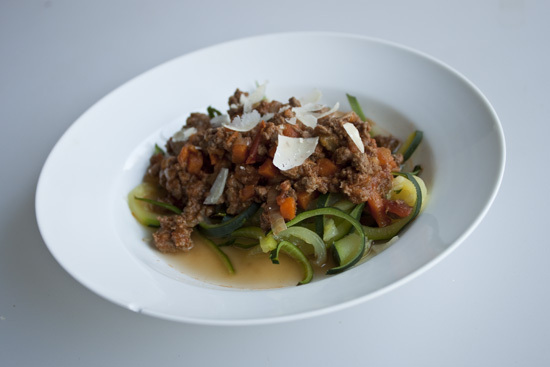 Recipe info/allergen info: This recipe is ‘paleo’, gluten-free, fructose-free and dairy-free. 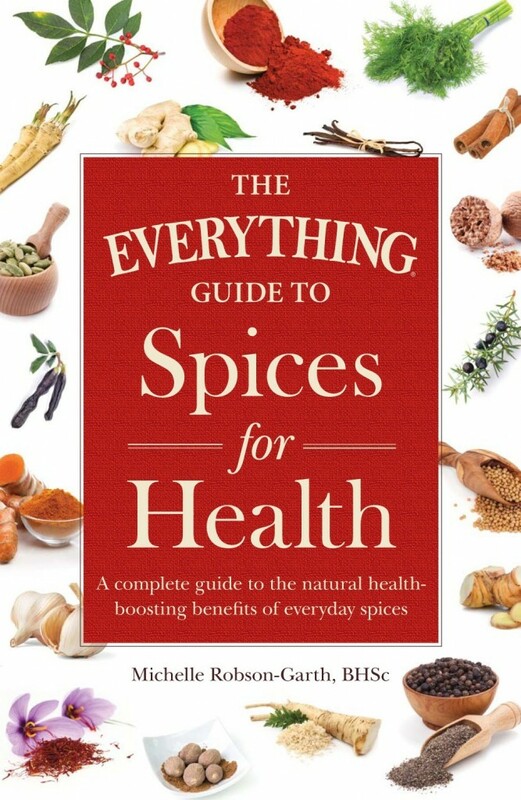 Grind spices together until coarse. Prepare kangaroo by cutting it up into long thin strips. Pour spices over meat until each pieces is covered in some spice mix and put the meat in a bowl. Add the vinegar and tamari and disperse it evenly around the meat. Cover with cling film or a plate and keep this in the fridge for 12-24 hours to marinate. Place each piece of the marinated meat onto a lined dehydrator tray and dehydrate it at 68 degrees C/ 155 F until they have dried out (it was around 8 hours for me, but I think 6 hours would have been sufficient). Some like the texture of biltong more dry while others like their biltong a bit chewier- so adjust the drying time to how you like your biltong (or to how you think you may like it). I admit it, I have never heard of biltong before. But, now I can say that I know what biltong is if anyone asks me. ;) I like the fact that it can be combined in so many different ways. Thanks for sharing. Nice site. I’m a fan of dear jerky myself, though I’ve never made it.